I am officially graduating in less than a month! This feeling is so surreal. I honestly did not believe that it was coming until everything began to fall perfectly into place. There is only one more week of classes left until finals. Purchasing my cap and gown and receiving all of my honors cords was very rewarding. Also, I have been fortunate enough to receive acceptances from four law schools! Lastly, and the most stressful part, is looking for a job. The combination of all of these makes graduation finally feel real. Only one more week of classes until it is officially finals season at Mason. This will be my last finals week ever at GMU… cue the waterworks! I cannot believe it came as fast as it did. Although I only have a few finals this semester, the struggle is real with these final assignments. Completing these last big assignments and studying for final exams makes graduation feel so close and all the more real. I purchased my cap and gown just a few weeks ago. Walking through the graduation fair felt very rewarding and also exciting. Being able to try on a cap and gown made me visualize what it would really be like to be a college graduate. 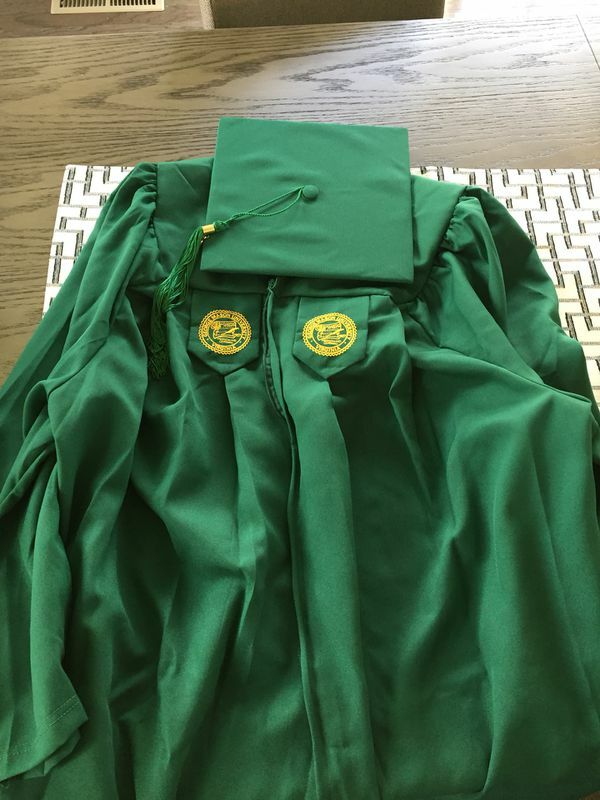 Seeing this also made me eager to plan my graduation outfit -- repping that green and gold one last time. Gathering all my honors cords allowed me to reflect on my time at Mason. I was fortunate enough to be involved in several organizations on campus: Her Campus (of course), Phi Alpha Delta, Psi Chi, Afghan Student Union, Well-Being Street Team, Muslim Student Association and Dean’s List. This reflection strengthened my appreciation for these organizations, all that I learned from them and the amazing time I spent with them. I can’t wait to represent them on graduation day because they were a big part of my whole college experience! I have been fortunate enough to receive acceptances from four law schools so far! This has been a very rewarding experience. Preparing for the LSAT and working on applications were probably the most stressful parts of my time in college. Therefore, seeing all my hard work pay off in those acceptance letters was a very prideful moment. These moments made college ending feel so much closer than before. Looking for a job is probably the most stressful part of college ending. There is a lot of pressure to make sure that you have a job lined up following graduation. However, the chances of this happening are very unlikely. It is hard to find a position that aligns with your career interests while also paying the salary that you deserve now with an undergraduate degree. It is also very difficult to research open positions, fill out job applications and compose cover letters in the midst of completing your end of the semester coursework. However, this experience is an ultimate adulting moment and reinforcing the fact that you are finally graduating. As sentimental as I am about it ending, I am so excited for what the future entails! Iman is a DMV native. As a first-generation college student, she is majoring in Industrial Organizational Psychology and minoring in Business at George Mason University. Her dream career consists of being an Employment & Labor Attorney, who defends employees from illegal behaviors in the workplace brought on by the organization. Essentially, the workplace is where we spend most of our lives, therefore, she hopes to ensure that this environment is safe, friendly, and comfortable for all working individuals. Her goal is to make people feel equality, comfort, and at ease where they work. On another note, some of her hobbies include spending time with her family, listening to music, and reading. Some of her passions include promoting well-being, empowering women, and offering support to minorities.